Help prospective customers find your website with our all-in-one SEO packages. Our SEO experts will work with you to select a targeted set of keywords aimed at driving qualified traffic to your website. Our team of experts will work to implement proven on-page SEO strategies aimed at boosting your rankings and improving your site's performance. In bound links are an essential part of any successful SEO strategy. We'll continuously work to build your site's internal link profile and increase its organic ranking. Our SEO solutions take an algorithmic approach to keeping up with Google, Yahoo, and Bing search engines. We've built an extensive SEO Network that is designed to effortlessly address important ranking signals used by search engines to determine the value and relevancy of a website. We give your site optimized content and authority inbound links from industry related sites. 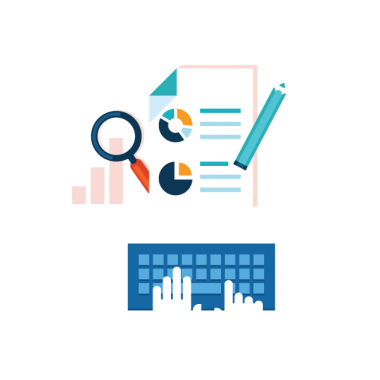 We provide a detailed report of your website SEO performance, as well as data about your traffic, top referring keywords and a full explanation of your search engine activity. We help increase website rank for 10 keywords with onsite and offsite SEO. We help increase website rank for 5 keywords with onsite and offsite SEO. For users with an existing 5 or 10 keyword package. Easily add 10 additional keywords. Speak with one of our SEO experts and learn how we can help improve your site's ranking.